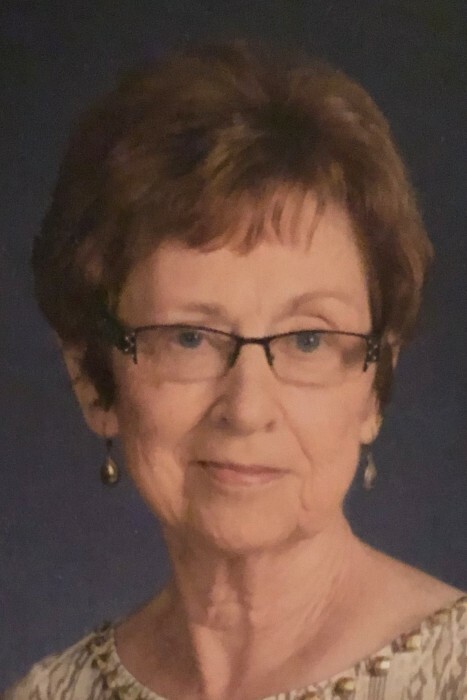 OTTOVILLE – Marilyn Ann Kaufman, age 83, passed away on February 4th at her home. Marilyn was born on January 3, 1936 in Leipsic, Ohio to the late Henry and Elizabeth Hazelton. On May 9, 1959 she married Leon T. Kaufman, who survives in Ottoville. Marilyn is survived by five sons: Jeff (Beth) of Powell, Eric (Lisa) of New Albany, Scott (Kathy) of Toledo, Todd (Melissa) of Rockford, and Darren (Kathy) of Kalida; one daughter: Kelly Croy (Morgan) of Findlay; twenty grandchildren: Ryan (Aprell), Alysia (Elliott), Nathan (Maddy), Laura, Joel (Lindsay), Brooke (Zach), Megan, Justin, Jordan (Kristen), Michael (Alyson), Rachel, Ben, Kristen, Kaela, Luke, Danny (Katie), Brad, Paige, Jake, and Elise; five great-grandchildren: Jace, Brynn, Ethan, Callie, and Griffin. She is also survived by two brothers: Kenny (Jeanette) Hazelton and Fred (Charlene) Hazelton and one sister: Kathy (Richard) James and one sister-in-law Dee Dee Hazelton. She was preceded in death by two siblings: Gerald and Christine; a grandson: Kyle; and two great-grandchildren: Alexandria and Owen. Marilyn’s love of teaching was evident to all. She touched the lives of many in the classroom, both students and co-workers, in her nearly 40 years. She was a member of the Immaculate Conception Catholic Church, Ottoville and Catholic Ladies of Columbia. Her love of the Catholic Church was apparent to those who knew her. Marilyn was also an avid sports fan. She was often found watching the Detroit Tigers or Ohio State sports on her own. She shared her love of sports as a coach for a youth soccer team with one of her best friends. But her favorite games were those her grandchildren participated in. She and Leon would travel all over the state to cheer on their favorite players no matter what the sport. Marilyn’s favorite things were by far her family and her friends. She loved the holidays and filling her house with her family. She gathered her grandchildren around her as often as she could for special days with Grandma. She enjoyed family trips and loved to have fun. She even dared to parasail at 82 years of age on her first trip to Put-In-Bay. Going to performances, shopping, and day trips with her friends were also very special to her. Mass of Christian Burial will be at 10:30 a.m. Saturday, February 9, 2019 at Immaculate Conception Catholic Church in Ottoville with the Very Reverend Jerome Schetter and Deacon Jose’ Flores officiating. Burial will follow in St. Mary’s Cemetery, Ottoville. Visitation will be Friday from 2 to 8 p.m. at LOVE-HEITMEYER FUNERAL HOME, Jackson Township where there will be a scripture service at 1:45 p.m.
Memorial contributions may be made to Putnam County Hospice, Ronald McDonald House, or a charity of the donor’s choice. Online condolences can be expressed at: www.lovefuneralhome.com.